College prices are expensive! 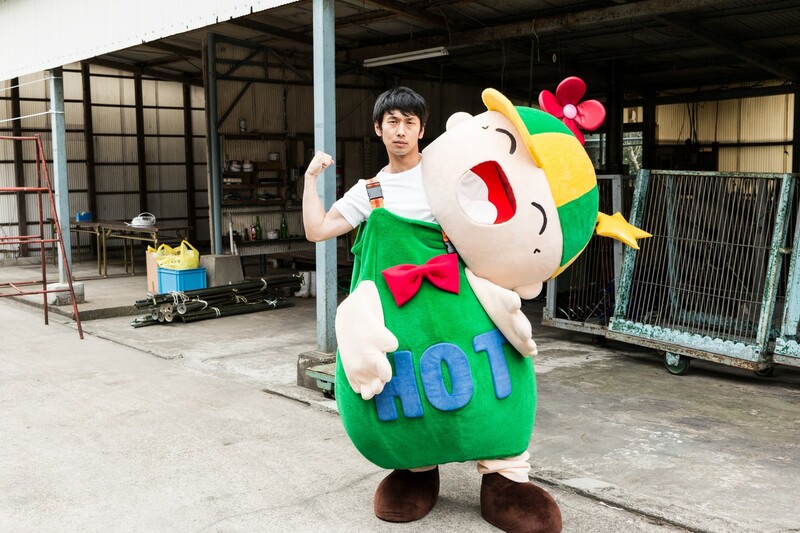 Can students get tuition grant? How do you know how much college actually costs? I am on the same boat with you and I have 3 kids. 😱 Let’s take a look at how we can plan better as parents. A MUST-SEE for near college student parents and newly born parents! 1 What is student aid? 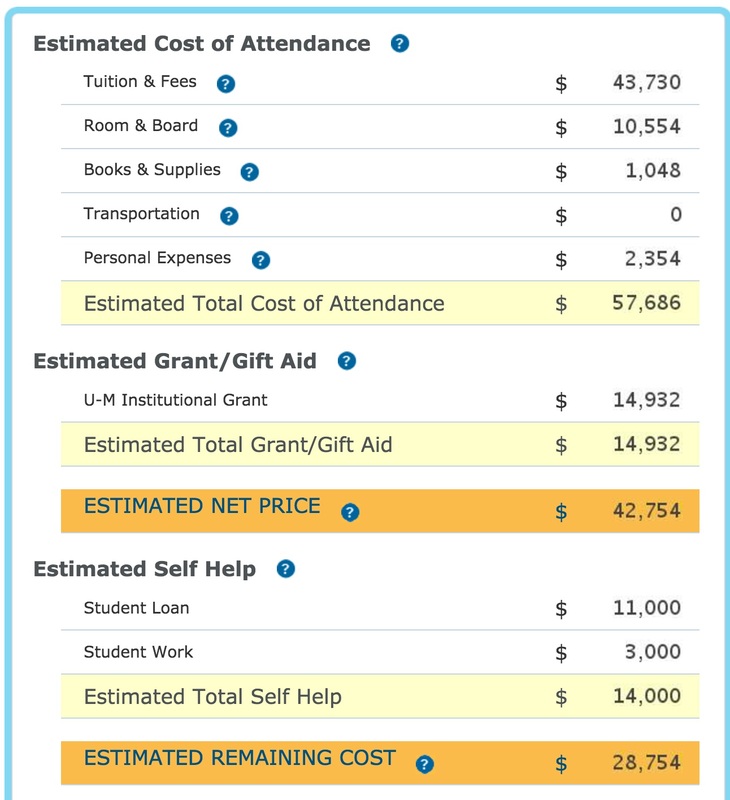 3 What is College cost calculator (College Net Price Calculator)? 4 What is Federal financial aid? Student aid usually refers to any aid that students can get. It could be any money parents and/or grandparents contribute as part of College 529 Plan, Academic Scholarship from a college or external institution, Federal Student Aid (discussed below) and any others. You may have heard of FAFSA from high school counseling that students and parents must get the FAFSA ID for the best financial aid possible. YouTube shows the introduction here. College prices have hiked in the recent years. As such, the ultimate goal for us parents is to see if we can get the best deal on Federal Student Aid, which can include grant, loans and work-study. To qualify for these, you MUST submit the FAFSA by the due date. FAFSA asks all of your financial information including your recent tax return, assets, liabilities, other sibling info, etc. Other student aid may include school based scholarships or outside organization scholarships. Each school has separate requirements and due dates. Just remember that if you don’t send all the required documents (you can mostly complete online these days) by the due date, you can bet you won’t get the scholarship because there are many other students and parents shooting for THAT particular scholarship!! The scholarship amount differs by a great deal. Some may be a full ride, tuition + boarding + meals + more, for 4 years. Some may be a full tuition for 4 years. Others may be in a different amount. These usually are considered academic scholarships and students are required to keep certain criteria like GPA better than 3.5, etc. College prices have gone up so much that our (parents) usual salary increase doesn’t cut it any more. This means we as parents MUST plan better to make sure the amount of loans kids (or parents) get is minimal. After all, if you can get away without any loans, that would be the best. I have 3 kids and one is already in college. I have another one to go to college in two years and yet another to go a few years later. This does sound like a nightmare and we have been looking around to make sure we have all the information needed to better prepare for kids’ college years. I am pretty much on the same boat as many of you. I realize the college prices are so high that it’s not even funny, and rather more stressed about it recently. Anyhow, so for those who don’t believe the college prices have gone up, I have checked on the following for you. Take a quick look at these. Can you believe me now?!? It is pretty clear to me that this trend appears to continue going forward into the near future. 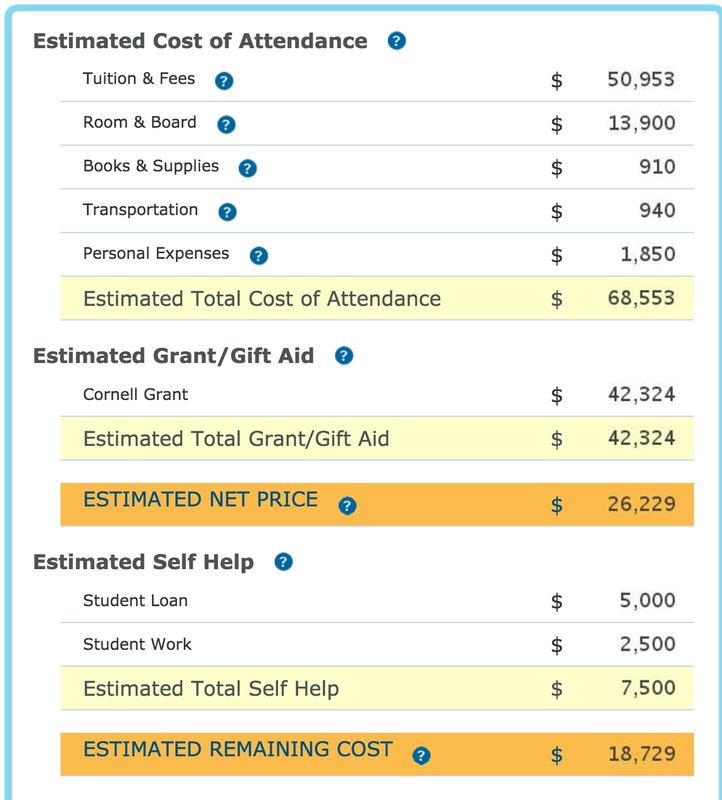 What is College cost calculator (College Net Price Calculator)? College cost calculator is something you should check NOW instead of later. I recommend College Net Price Calculator. Based on what we went through with our oldest child who is in college, the number appears to be very accurate as long as you provide your financial information properly. I apologize to be a pain in your back, but if you haven’t saved any for your kids’ college education, and your child is about to go to college, START SAVING NOW! When your child goes to college, you can really feel your life is much tougher, and I mean it. If you have saved some, that’s great! Save even MORE! Kids will find a way to use the saving somewhere. 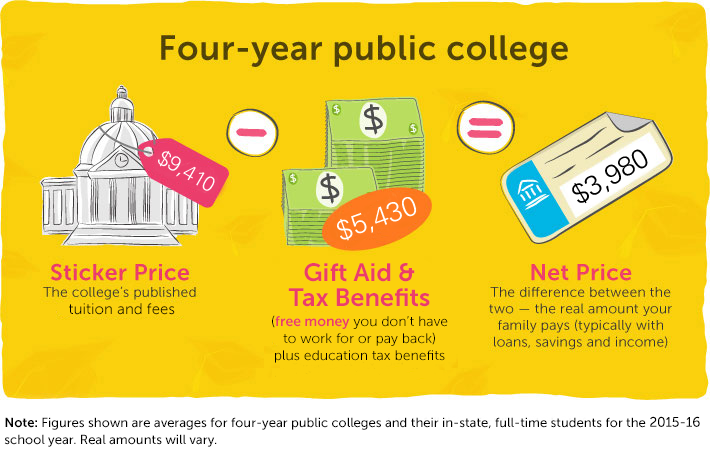 Anyhow, let’s take a look at how College Net Price Calculator works out. We are going take a look at a few situations, namely the top 20 private school, in-state public school, and out-of-state public school. What you see below may surprise you. Remember to focus on the Net Price, not the Sticker Price! I usually refer to the U.S. News & World Report’s Top University ranking for college ranking as it is reliable and you get a pretty good idea on where your kids’ college stay compared with others in the nation. The secret of choosing the top 20 private school is that they usually provide gracious amount of need-based grant to compensate for tuition. If you look at the top private school pricing, it is expensive in that the costs are usually close to $60K to $70K! Obviously, this includes everything, like tuition, boarding, meals, health fees, lab fees, transportation, text books, etc., etc. Oh, did I mention this was just a YEARLY price tag? So to graduate, that’s 4 times as much (and probably plus more as tuition increases every year!) In today’s dollars, if you have to cover all these for 4 years, it could cost you $300K!!! But take a look at this result from a top 20 private school. Does this surprise you? This is just an example, but the sticker price of nearly $69K reduced to $26K. If students work, then the price will further reduce. Again, the top 20 private schools usually provide the grant for your tuition that does NOT have to be paid back. If the private school ranking goes lower than the top 20, the school may not be able to provide 100% match of expenses with their financial aid package (which may include loans that you want to PREVENT), and provide more of academic scholarship with good GPA and/or other requirements. So this also means if your child can’t get into the top 20 private school, you may as well look into other options like the in-state Public school discussed below, especially if you are in the state with top ranking Public schools. By all means, if your child can get into the top 20 private school, you should seriously consider it!! In State Public school usually gives you the most amount of help after the top 20 Private school above as long as your child does well academically, plus others. In many case, those who can get accepted to the top 20 private schools get close to a full tuition or full ride scholarship at the local in state Public school. What is rather surprising here is that the cost is nearly the same as the top 20 private school. So it’s rather natural to think, “Why not?” for the top 20 private schools, isn’t it?!? Out of State Public school gives you a tuition hike and is usually not recommended unless you are really wealthy and you can afford to pay for the tuition, or your child thinks s/he MUST go there for whatever reasons. Federal financial aid is something I mentioned above, and colleges use the information you provide to give you the financial aid package. That could include grant, scholarship, loans and work study. Only grant and scholarship need NOT to be paid back. Work study is the amount your child gets after s/he works in college as part of the federal work study program. It could be a librarian, lab assistant, researcher, college tour guide, etc. For colleges, the federal work study program covers some costs to pay your child, and as such, it may be considered easier to obtain a job, but it depends on the school. Students would need to contact the financial aid office after s/he has secured a potential job option. Student aid how-to is a way of tie-ing all the above we just talked about. I realize this is confusing, and I still have not covered anything to plan to save for kids’ college education costs. I will cover those in future articles for sure. What is important today is to know exactly how much the college your child wants to attend would cost you so that you can plan better to prepare for it. So briefly, this may be a good outline of what you should look at. These probably need to be started when your child is a high school freshman or sophomore. Select from reach school (top 20 ranking), match schools (top 20-200 ranking), and safe school (in state ranking). A good ration might be 10 reach schools, 3 match schools and 2 safe schools. 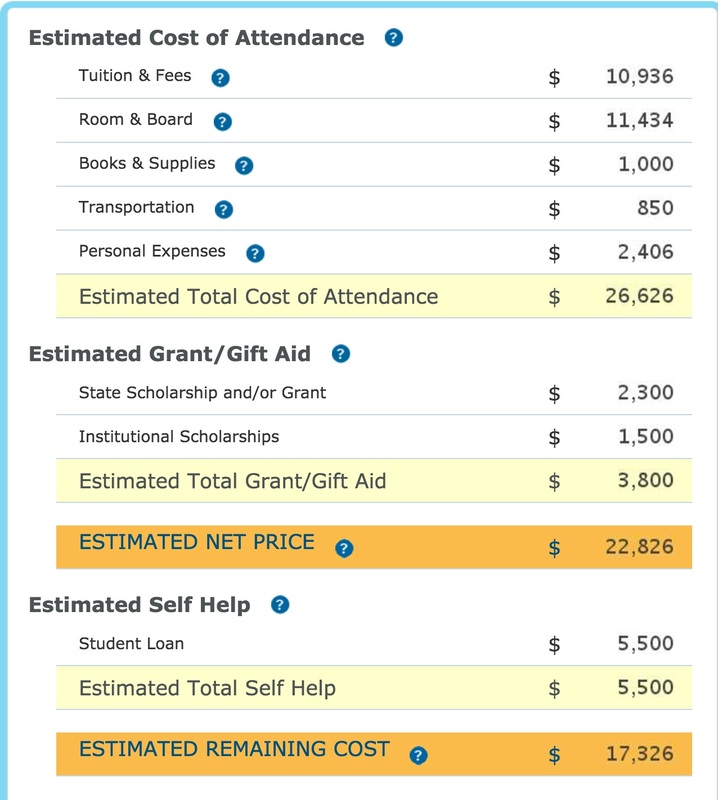 Once you have some ideas of the schools, then use their College Net Price Calculator, and find out exactly how much that particular college would cost. Finally, adjust your financial plan (less saving, more saving, etc). This may actually have to be the first option to consider, but that’s not easily possible without step 3 above. At the same time, kids would need to start planning and studying for standardized testing (SAT, ACT, PSAT, SAT II, etc), take AP classes at high school if available, volunteering while pursing some type of passion. Once all these tie together, I think the good results would follow. My wife has been spending a lot of time reading posts on College Confidential site. If interested, you should, too, as that site provides more information than you really wanted to know, and the information is beneficial. College prices are expensive! So SAVE NOW. Know exactly how much it will cost with College Net Price Calculator. Top 20 Private school may be affordable. Know the Net Price, not Sticker Price. Plan ahead with College Selection process. Please comment if you have other ideas on how to better prepare for college! Thanks for reading “Student Aid How-To! College Cost Calculator, Federal Financial Aid?” until the end!